Our preoccupation with “us” means that, for example, Kim Kardashian and Caitlyn, né Bruce, Jenner, simply for being celebrities (who seemingly do a whole lot of nothing), garnered significantly more media coverage last year than wildlife – specifically the fact that the world has lost 50 percent of its wildlife in just 40 years. While the latter impacts each and every one of us and the future of a healthy planet, the impact of the Kardashian clan, in the whole scheme of the world, is less than zero. Last year was filled with too many wildlife stories that were gut-wrenching, raising serious ethical concerns about our values and culture as Man marches to driving species extinct. To much worldwide criticism in May, it was reported that a Texan who had paid $350,000 to kill an endangered black rhinoceros – there are fewer than 5,000 in the wild – got his “trophy” in Namibia. 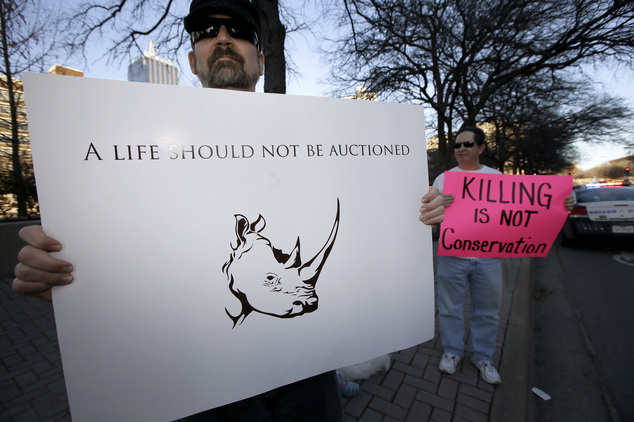 The trophy hunter said, “I felt like from day one it was benefiting the black rhino, and I'll feel like that until the day that I die.” His comment is the ethos of “you have to kill them to conserve them,” an idea widely disputed by scientists and real conservationists, and one that seems to be particularly counterintuitive in our current well-documented time of the Sixth Extinction, the greatest loss of biodiversity since the dinosaurs. Then in the summer, news reports turned to the trophy-hunting Minnesota dentist – one more “ugly American” – who reportedly lured a popular lion, Cecil, out of a preserve in Zimbabwe. The dentist shot Cecil with an arrow and then tracked the wounded king of beasts for a reported 40 hours (the dentist said it was less time, and claimed all was legal) before killing him by gunshot. The ire directed toward this dentist was many times greater than that directed toward the rhino killer. 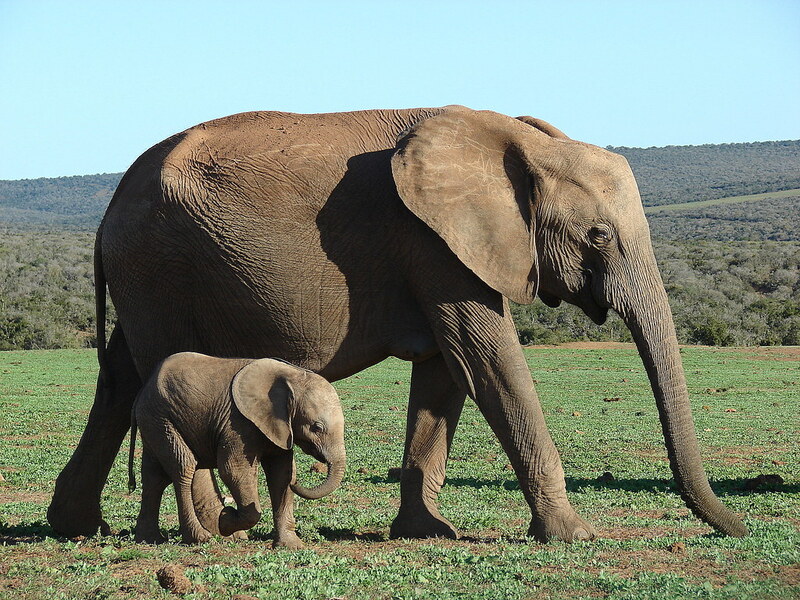 The two stories brought a new level of awareness of, and disgust with, trophy hunters and their well-funded lobbying arm, Safari Club International, and highlighted that most trophy killing in Africa is done by Americans. The outrage over the killing of threatened animals for blood sport did generate enough pressure that multiple airlines banned the shipment of buffalo, elephant, leopard, lion and rhino trophies. As well, the U.S. Fish and Wildlife service issued new rules effective this month affecting the importation of African lion parts. It’s to be seen how much teeth and enforcement these rules will have. Going back through 2015 stories, it seems there is no area of the world where our wildlife is not abused at the hand of man. Orangutans – also highly intelligent and remarkable creatures – in Indonesia suffer horribly. Their plight is tied to wide deforestation for palm growing and logging, with animals murdered in the process. Another major factor in the decimation of the orangutan population, along with 140 other mammal species that are threatened or critically endangered, is Indonesia’s human overpopulation. In the early 1960s, Indonesia’s population was under 100 million. Today, it’s more than double that at 256 million, and the country expects to add another 65 million by 2050. As with many other countries in the world, Indonesia exports its overpopulation problem, with some 8 million Indonesians living and working in other countries. Besides being home to the inordinate share of Africa’s “Big Game Hunters,” here in the U.S. we have our share of wildlife abuse, including coyote killing contests, cruel trapping of bobcat and lynx for their fur sold to China and Asia, and continued killing of America’s big cat (known alternately as the cougar, puma and mountain lion) which has been wiped out from the Eastern U.S. In final ugly headlines, the year ended with a video that surfaced from Russia’s Wrangel Island of a polar bear that may have intentionally been “fed” a firecracker that exploded in its mouth, leaving the bear writhing in pain and presumably, ultimately, dead. Beyond irony, Wrangel Island is supposed to be a protected nature sanctuary. Much of what we learned last year about the destruction of our wildlife came from concerned individuals worldwide who used petitions and social media to bring attention to what is happening, as well as new organizations that are working to protect animals and their habitat. Harnessing this power to communicate instantly globally is tremendous, and in 2016 more need to join the Animal Planet Team, as ending the horrors inflicted upon the world’s wild things demands a quadrupling of citizen efforts worldwide. The year ahead offers the opportunity for more people to engage and shape a shift in mindset that will lead to a cessation of trophy hunting of threatened and endangered animals. As well, we need to demand more habitat protection and connectivity of habitat, and seek solutions for peaceful cohabitation of Man and wildlife. We also have to place as high a priority as we have on climate change (COP 21) on stabilizing and reducing the world population of humans. If that piece isn’t fixed, the prospects for all other living things are bleak. Maria Fotopoulos is a Senior Writing Fellow with Californians for Population Stabilization. Reach her at caps@capsweb.org.This column distributed by Cagle Cartoons newspaper syndicate.